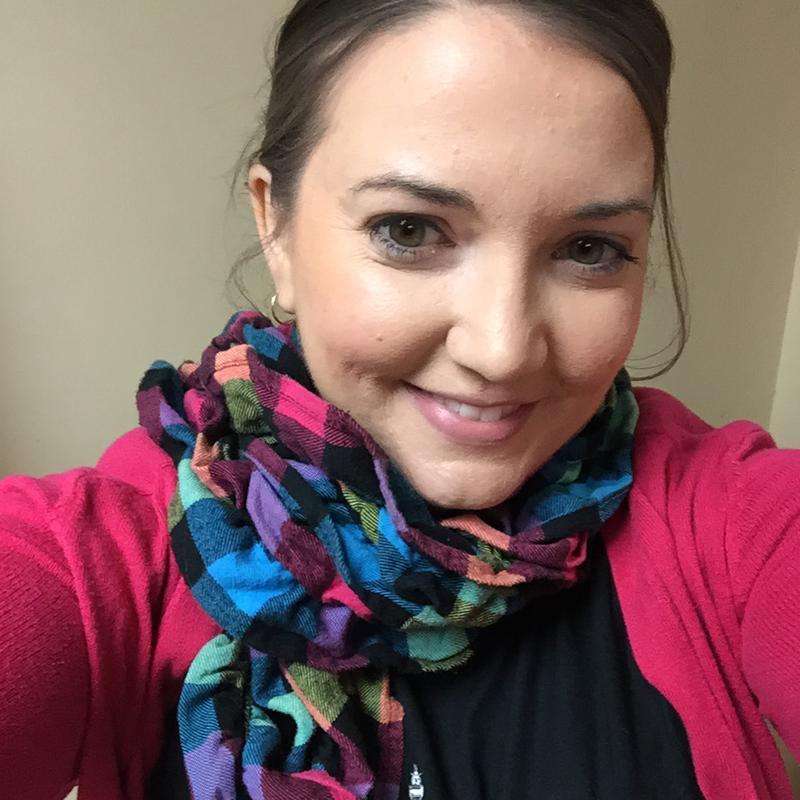 My Little HEA: Get to Know Me - 25 Q+A and A Giveaway!! Get to Know Me - 25 Q+A and A Giveaway!! It's supposed to be the coldest morning...ever, or something like that in Florida this morning. Being from Kansas I'm used to that and it doesn't even get that cold all the time there. I have a pic from scarf season FOUR years ago in Florida. I also had short hair in this pic. A little #tbt still hanging around on Thursdays. What can I say, it's nice to revisit these old photos. The one on the right was taken just before Christmas and I still love that scarf! Ummm, I'm pretty sure one of the blogs I read did this a couple of months ago and I've been hanging on to it for a while. I don't remember who I got these 25 questions from so if it's you, could you let me know and I'll totally give you credit! Let's get on with learning a fewa lot of things about me, yes? 1. What movie deserves a sequel? Mean Girls with the same actors. 2. What one toy would you like to throw repeatedly at a brick wall? I think this is a parent question because I can't think of one. 3. What is one thing a woman should never do? Go after another woman's man. 4. Who would you hate to see naked? Pretty much anybody I work with. That would just be awkward. 5. What is your favorite kind of cereal? Frosted Flakes. 6. What is one thing you always wanted as a kid, but never got? Barbie Jeep because it had two seats. 7. If you were in a witness protection program, what would be your alias? Haley Carmichael or Clark. I also really like the name Addison. 8. What is the nicest thing someone else has done for you? Remembering something personal I told them and don't even remember telling them. Or, getting something for me off a wishlist. 9. If you could bring someone famous back from the grave, who would you choose? JFK. Oooh, or Marilyn Monroe. 10. Where do you not mind waiting? In the car as long as we're not really moving. I hate the moving an inch every few seconds thing. It drives me mad! 11. If you could lock up one person in a mental institution, who would it be? Is this a real question? 13. If you could project yourself into the past, where would you go? High School graduation just to see if things turned out differently or if I made all the same choices. 14. What is your most impressive car repair skill? I plead the fifth. 15. What is the best sports stadium/arena you have been to? Bucs Stadium because it's very pirate themed and not boring. It's also one of the only stadiums I've ever been in. 16. What would you refuse to do for one million dollars? Puke. Watch someone puke. Anything that has to do with puke. 17. If you were home on a rainy Sunday afternoon, what movie would you want to see on television? The Wedding Date. Dermot Mulroney aka swoon king. 18. What historical figure would you most like to have a discussion with? JFK for this one, Marilyn to bring back to life. (See Q9) I became obsessed with pop culture in the 60s and I don't even know why. 19. If you could close one fast food chain, due to disgusting food, what would you pick? Haha, I just thought of PDQ because I'm not a fan but it would have to be Long John Silvers. 20. What is one thing you refuse to share? "Joey doesn't share food!" 22. If you could be on the cover of any magazine, what would you choose? Vanity Fair or Rolling Stones - depending on if I was a singer or actress. 24. What one thing annoys you most at a restaurant? When people pick apart the waiters. I always leave an extra tip and bite my tongue whenever I hear someone being rude. I'm the first to be stingey on bad service, but that's only when they haven't done anything to correct the mistake. Most of the time something is done. 25. What do people do too much of today? Laugh out loud? I'm guilty of it too, lol. To help beat the winter blues, I've teamed up with some ladies to bring you some red. 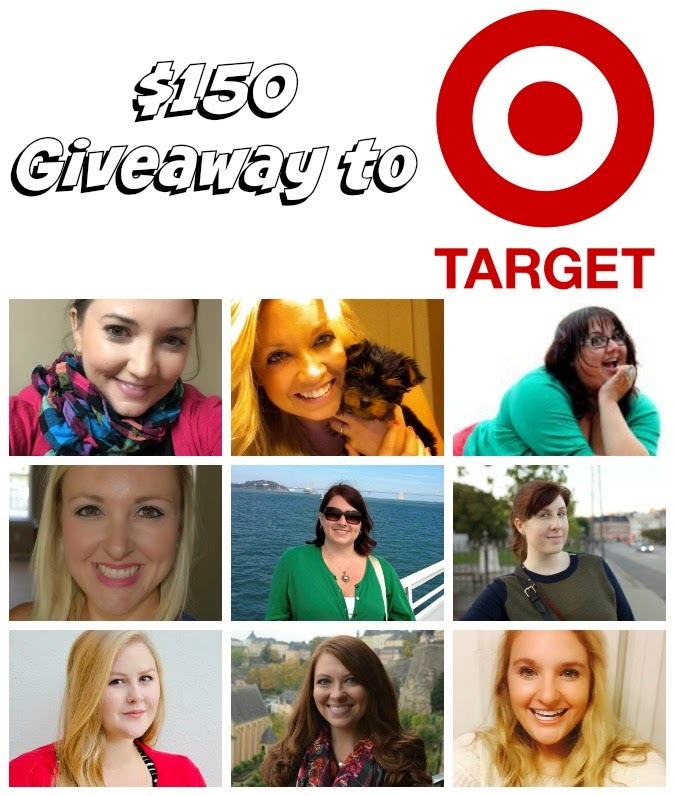 $150 to Target, to be exact! Enter in the rafflecopter below for your chance to win! This is such a cute Q&A I may have to borrow it too! ;) I think Salt and Vinegar is my favorite chip, but i agree Dermot Mulroney is swoon worthy! Mean girls, yessss. That would be golden. mean girls yes.... but with the now lindsay lohan? yeah no... hahaha she's a mess.. yum frosted flakes! lol at your answer to #11. A Mean Girls sequel would be awesome! Love this Q and A, though some of the questions are kinda weird...who would I lock up in a mental institution?? I hate hate hate sharing food. Ohh these were fun questions!!! Mean Girls totally needs a squeal! I hate sharing food too.....and dont get me started on how people treat servers. I am with you, always tipping extra unless the service was just horrendous with no corrections. These are super fun questions! Sour cream and onion is totally the best flavor. And I'm not very good at sharing. My sisters and I always negotiated before hand. "Are we splitting, or is it bite-for-bite?" When my boyfriend wants to just take a bite of my food without first establishing the terms, I always bristle a bit.